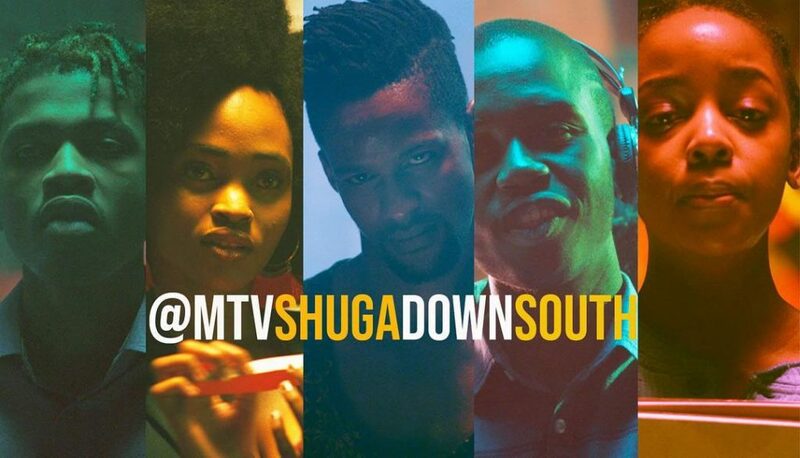 MTV Shuga: Down South, which premiered on March 17, 2017 and shot in South Africa, was one of the darkest seasons of Shuga as it featured the death of a character (no spoilers, I won’t do that to you). Set in the cool clubs, hangouts and schools of Johannesburg’s Braamfontein and the township of Zenzele, the season starred Tanzanian Afropop singer Vanessa Mdee, Nick Mutuma, Emmanuel Ikubese, Mohau Cele, Samkelisiwe Makhoba, Phila Mazibuko, with cameo performances from Seyi Shay and Kwesta. The season’s themes included abusive relationships, sexual assault, back alley abortions, and continuing the conversation about HIV. The teaser for the show’s sophomore outing – fifth season if we are going to be really accurate – is a bundle of gqom joy and when I saw this guy being introduced first, I knew things were about to go down. It’s a club with a dull lights, and we do appreciate the rich, rippling house music that has become a South African export (just ask Black Panther). Mohau Cele as Bongi will reprise her role, same for Mahoba. The teaser doesn’t show Ikubese but we know he will be in the new season as Femi. His character is pivotal to Down South, having relocated from Nigeria to work in a South African night club as Femi. Remember that Adesua Etomi’s character channeled her inner Potifah’s wife in trying to seduce him? The teaser is youthfully joyful, we love it, and the new season premieres on February on MTV Base, 9:30pm.